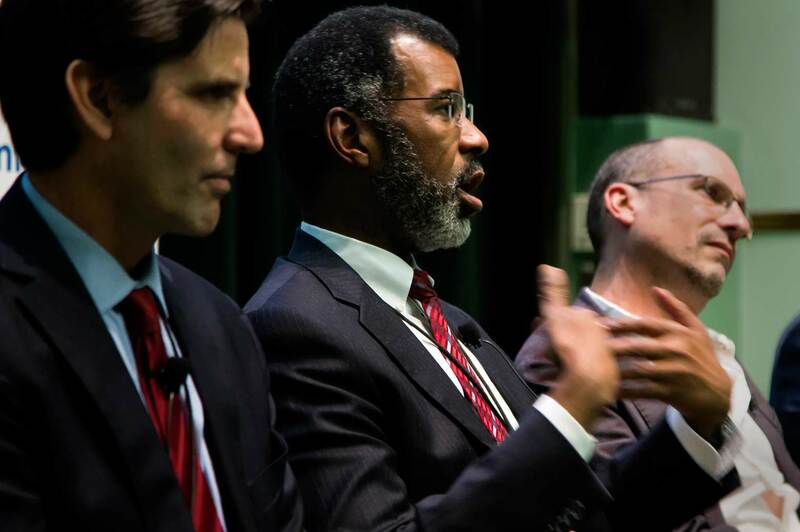 IMAGE: Bill Magwood, Director-General at the Nuclear Energy Agency of the Organization for Economic Co-Operation and Development, speaks during a discussion panel at the Michigan Energy Symposium at the Rackham Graduate School on September 26, 2016. Photo: Joseph Xu, Michigan Engineering. In October, some 200 individuals with an interest in nuclear energy and climate change gathered in the Rackham Building for the Michigan Energy Symposium. 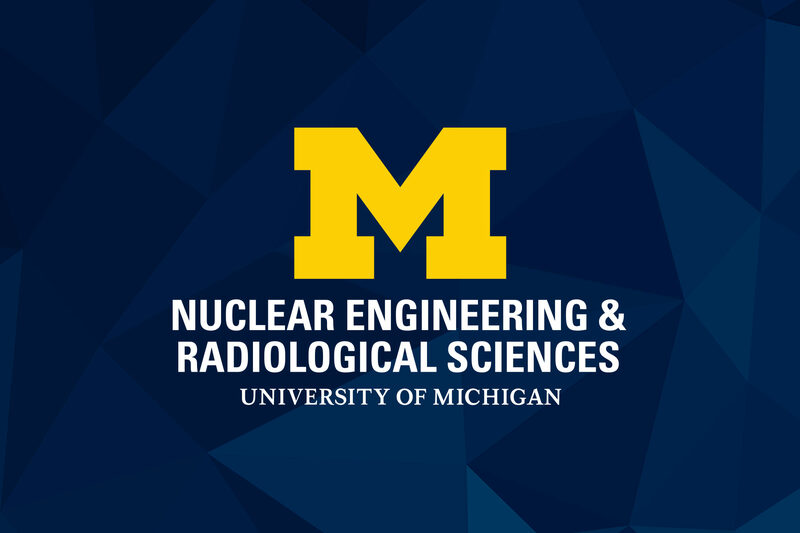 This year’s topic was “Combating Climate Change: The Role of Nuclear Power,” and the event was co-sponsored by the Michigan Energy Institute and the Department of Nuclear Engineering and Radiological Sciences (NERS). 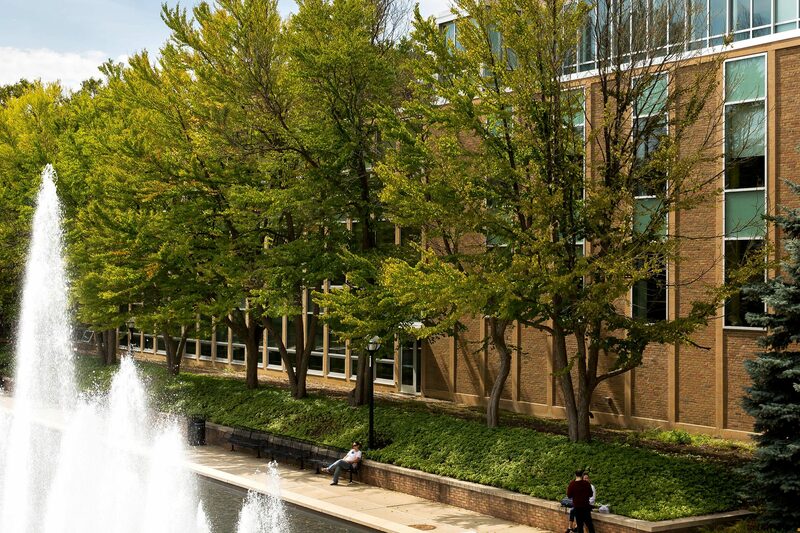 The College of Engineering and Michigan Memorial Phoenix Project provided additional support. Currently nuclear generates about 20 percent of the electricity in the United States and accounts for about 60 percent of carbon-free electricity generation. With projected growth in power demand worldwide, several presenters argued that it will be impossible to meet climate change targets – aiming for less than a two-degree-Celsius rise in average global temperature over pre-industrial levels by the end of the century — without a strong nuclear contribution. According to Bill Magwood, director-general of the Nuclear Energy Agency of the Organisation for Economic Co-operation and Development, meeting the two-degree target would take the implementation of at least 12 billion watts of new nuclear capacity annually in addition to large increases in renewable sources. In spite of a number of new plants being built, including four under construction in the United States, “it seems unlikely nuclear is going to be able to reach this [target] unless there are significant changes in policy,” he said. New technologies also will play a role in meeting climate change targets, including high temperature gas reactors and, in the near term, small modular reactors (SMRs). Todd Allen (MS NERS ’93, PhD NERS ’97), senior fellow with centrist think tank Third Way, echoed the importance of technology innovation. “We are a one-product industry,” said Allen, who noted a strong need for federal programs and capabilities, such as test facilities and innovation programs to drive private investment and technological advances. He also noted the need for the industry to engage with communities in order to understand their individual needs. Daniel Ingersoll, director of research collaborations for NuScale Power, spoke about the company’s SMR design for its multi-application, light water reactor with 50 mega-watt modules. The dominant innovation, Ingersoll said, is that containment is part of the power module, helping reduce key accident scenarios. The company is planning to submit its design certification to the Nuclear Regulatory Commission (NRC) by the end of 2016. 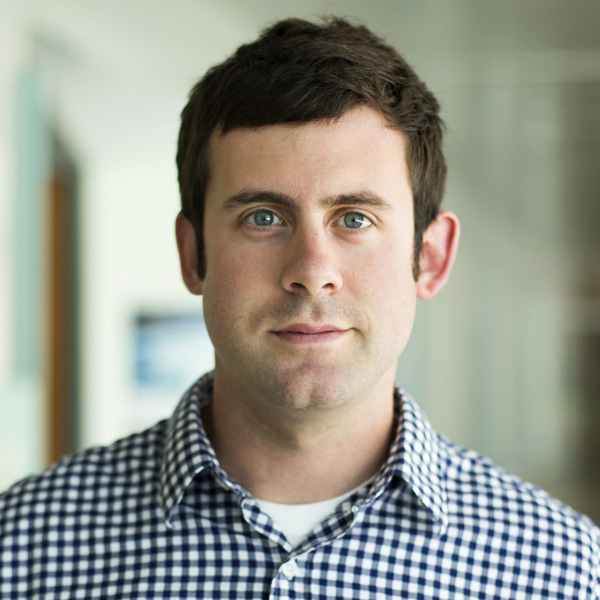 Advanced modeling and simulation tools, such as those being developed by the Consortium for Advanced Simulation of Light Water reactors (CASL), can also drive innovation, explained Jess Gehin, CASL director. Begun in 2010 and funded through 2019, CASL is a U.S. Department of Energy Innovation Hub based at Oak Ridge National Laboratory. University of Michigan NERS Professor Bill Martin serves as principal investigator of CASL’s UM team. The consortium is developing virtual reactor software to simulate key reactor phenomena in order to improve experimentation and testing. The tools it’s built are already being used by industry and utilities, including the Tennessee Valley Authority as its Watts Bar Unit 2 plant approaches commercial operation. Pete Lyons, former Assistant Secretary of Energy for Nuclear Energy of the U.S. Department of Energy and former Commissioner of the NRC, said strong university programs are crucial to innovation and technology development. “I see universities as training the next generation of thinkers and leaders, and to me, that’s essential,” said Lyons, who noted that UM is a leader in nuclear engineering training programs and ranks fourth in the nation in Department of Energy university program funding. The UM NERS department had fiscal year 2016 research expenditures over $20 million in support of major programs, including CASL and an Integrated Research Program led by NERS Professor Gary Was to accelerate reactor materials development.